Your music will be listened to on Bryston powered PMC IB1S's (large format speakers) in an acoustically accurate environment to evaluate what processing may be required including click/pop/unwanted noise removal. At this point (if needed) advice can be provided about elements within your music that would be best adjusted in the mix rather than at the the mastering stage. Your music is then sent to the analogue chain where it will be processed using World class mastering equipment. Equalization will be adjusted. Dynamics optimised. Stereo field adjusted. Levels set and fades performed. The relative volume of the tracks will be adjusted to provide a constant perceived listening level when changing from track to track. 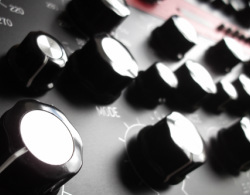 The separate instrumentation groups of your mix i.e Drums, Bass, Synths, Vocals are loaded into the DAW where they can be worked on with much greater control than mastering a completed mix can offer. Instances where this is useful is where you can't achieve a mix balance that you're happy with. 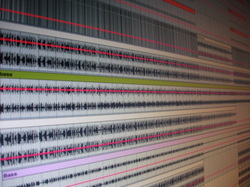 Common issues are problems with the relationship between the kick drum and the bass which can be caused by mixing in a "less than ideal" acoustic environment. In this case the stems sent in would be: Full Mix Stem (minus kick & bass), Kick Stem and the Bass Stem. (a version containing only the vocal), a backing vocal only version for singing live or a radio version which can be adjusted for length, profanity, subject matter. 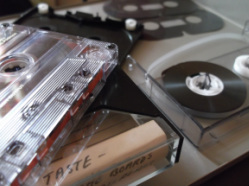 Whether it be an old vinyl recording with clicks and pops or a treasured cassette recording with lots of hiss audio restoration work can effectively remove these unwanted distractions to make an old recording more of an enjoyable listen. Clicks and pops are removed as part of the mastering process but for more specialised restoration work please use the contact page to discuss your project.